Copyright: You understand and agree that Explore Washington State, anyone acting on behalf of Explore Washington State, and Explore Washington State licensees, successors, and assigns, shall have the right, where permitted by law, to print, publish, broadcast, distribute, and use in any media now known or hereafter developed, in perpetuity and throughout the World, without limitation, your entry, name, portrait, picture, voice, likeness, image, statements about the Campaign, and biographical information for news, publicity, information, trade, advertising, public relations, and promotional purposes. without any further compensation, notice, review, or consent. 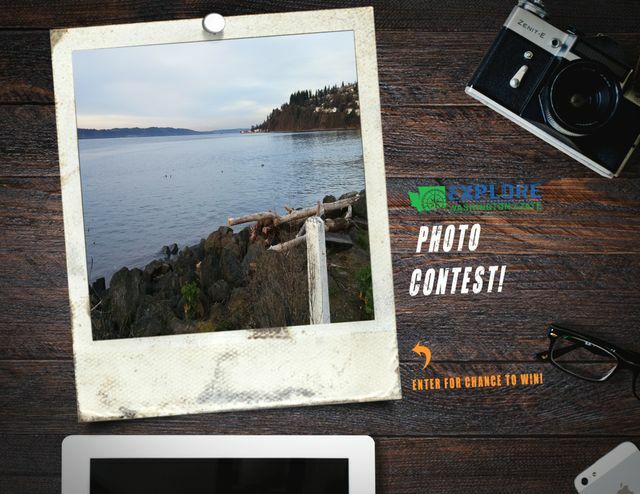 Who can enter: Open only to those who submit original photos of Washington State. Submit original photos of Washington State. a LowePro Flipside 300 Camera Backpack. You can upload up to 3 photos. Online submission of digital photographs via the website.